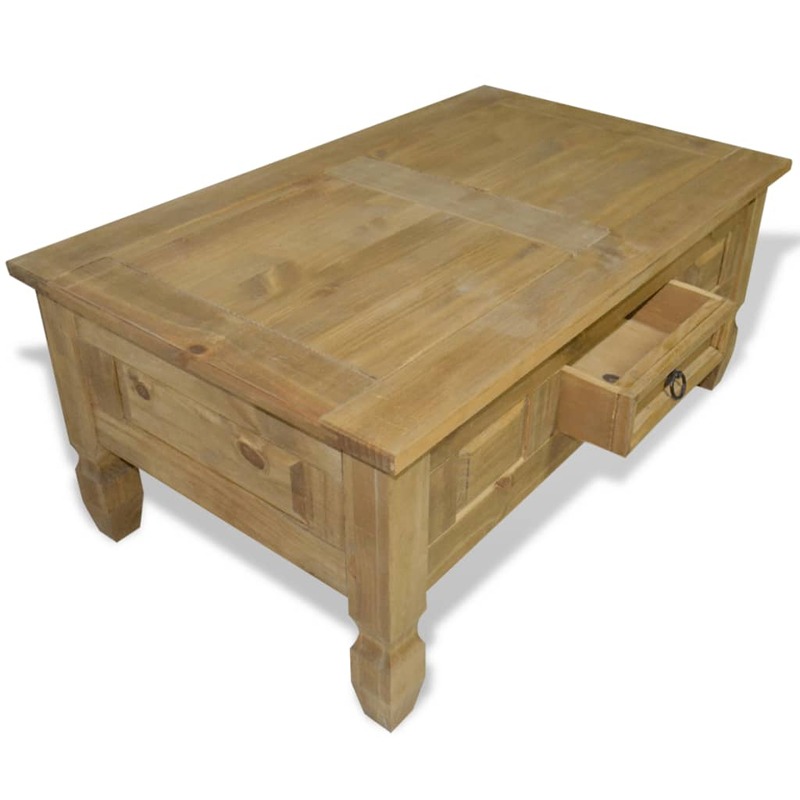 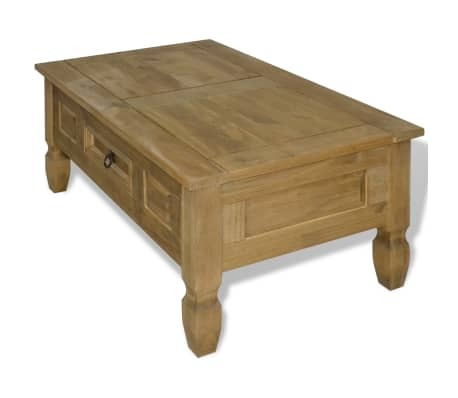 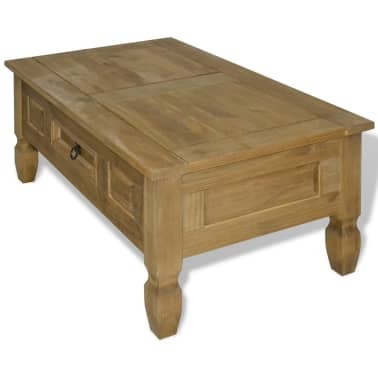 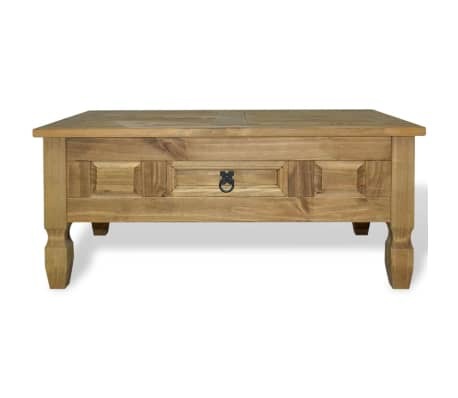 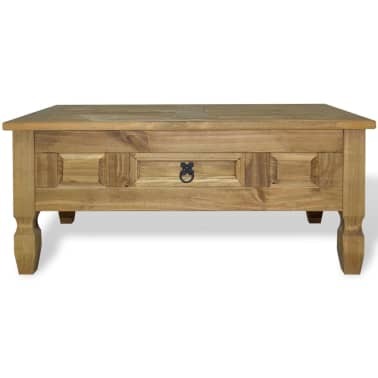 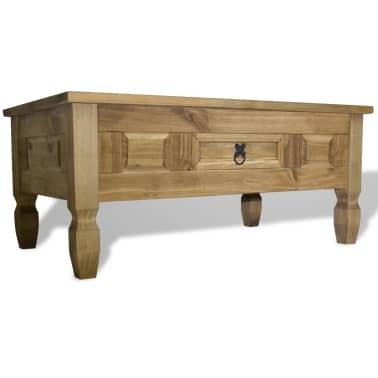 This high-quality wooden coffee table is a piece of furniture in the Mexican 'Corona' style. 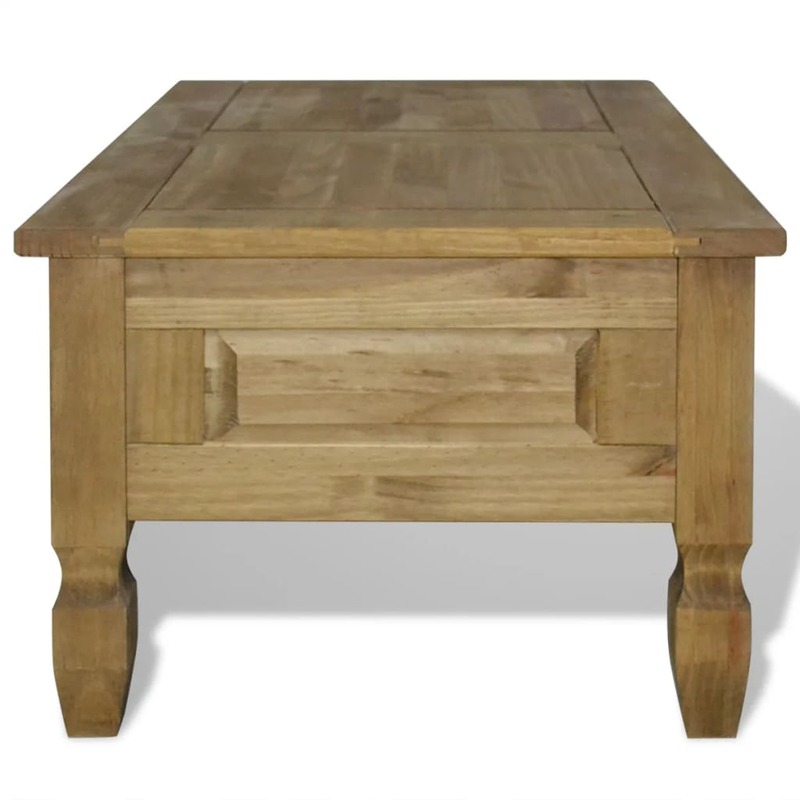 The waxed pine exudes a rustic Mexican charm that will make the accent table a great addition to your living room or lounge room. 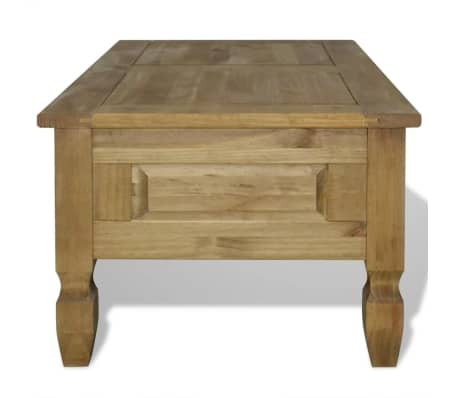 Crafted from solid pinewood, the side table is strong and robust. 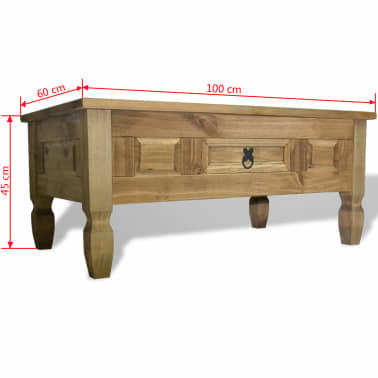 The solid tabletop provides a stable and secure surface on which you can place your drinks, a fruit basket or vase or other decorative items. 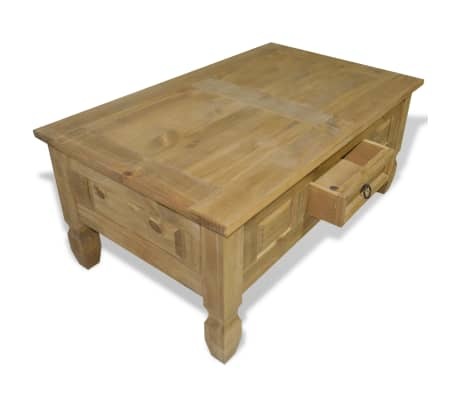 It has a drawer for storing knick-knacks, newspapers and other handy items. 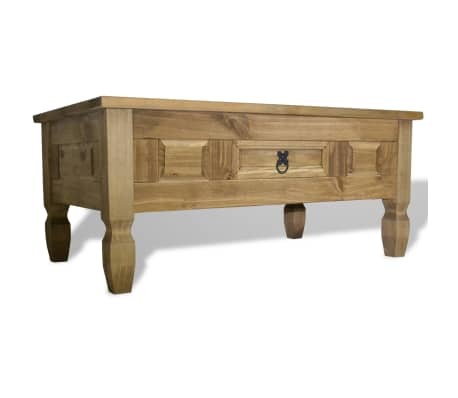 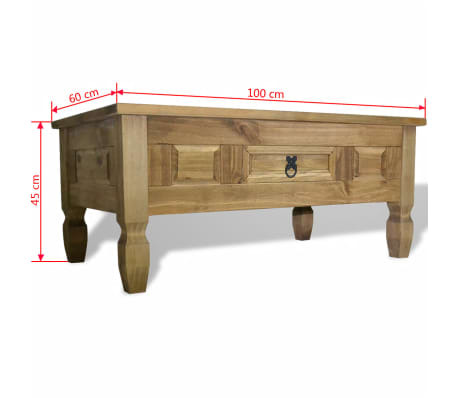 vidaXL Console Table Mexican Pine Corona Range 35.4"x13.6"x28.7"